A citizens' initiative calling on government to roll back a controversial new legal provision to activate the unemployed is on course to force lawmakers to reconsider the reform. Last week MPs voted to introduce a new provision in unemployment benefits legislation that would reduce benefit payments by 4.65 percent in cases where over a three-month period unemployed persons do not work enough or participate in programmes that would help them land a job. However critics of the legal reform have argued that the provision does more harm than good. Just one day later on 20 December, a citizen’s initiative was set up, calling for the law to be repealed. On Thursday 28 December, support for the initiative accelerated from some 27,000 signatures around mid-morning to reach by early evening the 50,000-signature target needed to bring it before MPs for deliberation. The rationale for the citizens’ initiative declares that the legislative reform punishes the unemployed for factors beyond their control. "Unemployment benefits always get cut when the jobseeker’s efforts to find work do not bear fruit," the text of the initiative stated. The initiative was set up by Helsinki resident Martin-Éric Racine. 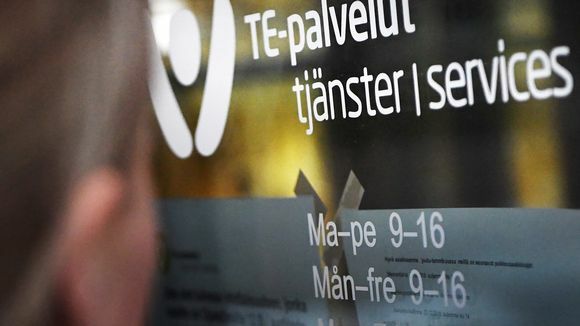 According to Pori-based Mika Luoma, another sponsor of the initiative, the "active model" as it has been dubbed in government circles, is unfair to unemployed jobseekers. He said that he was surprised by the extremely positive response to the motion. "The number was a surprise, especially this close to Christmas. I previously thought that the initiative would gather the required support by the end of January, but it could come even earlier than that," he added Thursday morning. The citizens' initiative will now proceed to the Parliament for lawmakers' consideration.